The Guardian writes that traditional and/or informal methods of land tenure are becoming less and less effective worldwide as local rights to land are being transferred by state agencies to outside investors, in large allowances of land colloquially known as “land grabs.” Small farmers with no legal documentation of ownership see their family plots sold to other, more aggregated farmer groups or to large multinational agri-businesses looking to utilize land over the short term. Finding common ground between traditional land tenure models and formal ownership certification has great potential to reform land tenure as well as improve food security and long-term environmental sustainability across sub-Saharan Africa and the world, as illustrated by the success of the MCC Compact in Burkina Faso. Beginning in 2008, the MCC’s Rural Land Governance Project focused specifically on formalizing traditional land tenure methods in innovative ways. Using technology like the Global Navigation Satellite System (GNSS) and Continuously Operating Reference Stations (CORS), the Burkina Faso Compact has successfully established a geodetic network that enables faster, high-quality survey work that delivers more accurate information on existing land titles as well as expedites the process of formally registering pieces of land. A 2009 overhaul of rural land legislation established rural land commissions to solve disputes as well as process land claims, and provided the Government of Burkina Faso with an effective framework for large land purchases orchestrated at the federal level to best protect rural farmers. Technology like GNSS and CORS that support inclusive land tenure models pave the way for improved environmental stewardship practices on-farm as well as greater overall agricultural investment. Farmers are more likely to invest their own time and finances to buy expensive seed, maintain soil quality, invest in quality fertilizers, and utilize “climate-smart” agricultural practices like crop rotation, land terracing, and cover crops if they understand the stability of their land tenure. The Burkina Faso Compact has found relative success in catalyzing the formal acceptance and registration of customary land tenure rights throughout the small African nation, including those of women. Traditionally, rural Burkinabè women have a right to use communal lands but do not legally qualify to hold land titles. The 2009 set of laws dictating land governance and administration provided needed recognition of the rights of women to own land. Women can now pass land on to their children, helpful especially in situations where women outlive their husbands and are responsible for providing for the present and future prosperity of their families. According to Devex, women account for nearly half of the world’s smallholder farmers in developing countries, and they make up the majority of farmers in places where men have moved to cities in search of work. One research study showed that low-income female-headed households have better nutrition than higher-income male-headed households, as women farmers tend to focus on family gardens while men are more likely to cultivate commodity crops. A successful 5-year partnership has established a framework for Burkina Faso to continue supporting rural agricultural development and inclusive economic growth for its smallholder farmers and rural populations. The New Alliance for Food Security and Nutrition has outlined a cooperation framework for supporting further development in Burkina Faso, with the Government of Burkina Faso having pledged roughly 14 percent of the overall national budget to rural development activities. 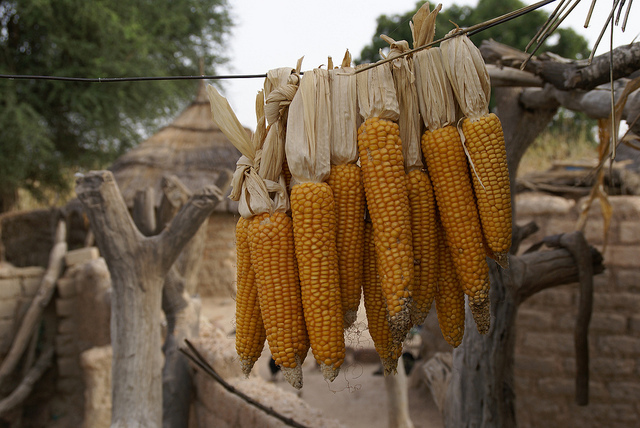 Burkina Faso’s Rural Sector National Program (PNSR) aims to promote wider access to agricultural inputs, create sustainable marketing and processing channels for agricultural commodities, promote resilience and proper water resource management, and create a secure investment climate for private investors. The next step in Burkina Faso’s commitment to food and nutrition security as well as sustainable agricultural development is an exciting one; the new applications for innovative technological systems established through the MCC Compact as well as secure land tenure rights have set the stage well, and have given Burkina Faso and the Burkinabè an invaluable toolbox with which to cement their own sustainable, food-secure future.